I’ve said for years that sellers shouldn’t have stinky homes. 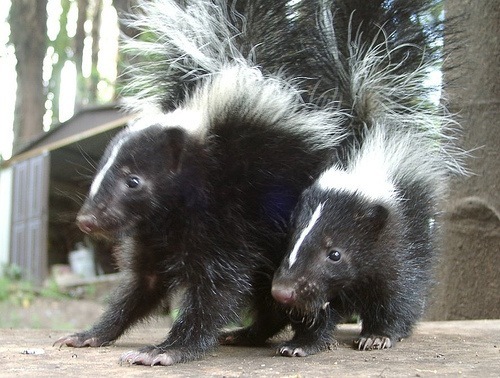 In 2012 I ranted a bit about the smelly things sellers use to cover up other smelly things. But what impact does cigarette smell have on houses’ marketability? “Third-hand smoke is tobacco smoke contamination that remains after the cigarette has been extinguished,” says Jonathan Winickoff, a pediatrician at the Danaâ€“Farber/Harvard Cancer Center in Boston and author of a study on the new phenomenon published in the journal Pediatrics. According to the study, a large number of people, particularly smokers, have no idea that third-hand smokeâ€”the cocktail of toxins that linger in carpets, sofas, clothes and other materials hours or even days after a cigarette is put outâ€”is a health hazard for infants and children. – 70-80% of buyers will just walk away (particularly those with limited budgets/timelines or with kids). – 10-15% will move forward, with reasonable estimates + 10-15% for painting, cleaning and other necessary things for remediation. Are you referring to cigarette smoke, cooking smoke, incense, fireplace smoke or an actual house fire? Removing any type of smoke can be a tedious and exhaustive process. Oftentimes there is no single solution or quick fix for this issue. I recommend using a process of elimination starting with DIY to hiring one or more professional companies who can dedicate their time and resources to specific areas of the home. I have listed a few options below. This list represents experiences I’ve had over the years while working with homeowners as well as other companies. Please let me know if you have any questions or need any clarification. Ed note: I’ve also heard from clients and other real estate agents that ozone generators are effective, although the EPA questions ozone’s efficacy. This can be a major concern for smokers who want to sell their home. Buyers who smoke themselves and will not notice or care about the leftover smell will definitely reduce the number of buyers. Additionally, if the walls are stained, even a smoking buyer will no doubt notice. Cleaning and restoration will need to be a prelisting priority.